There’s nothing better than fresh, homemade beef jerky from right here in Calgary, Alberta. All of our meat comes locally and we make Cowtown Jerky just for you. When you’re looking for the freshest, highest quality beef jerky then you’ve come to the right place. Cowtown Beef Jerky is located right here in Calgary. Alberta has been cattle country for over 100 years and produces the world’s best-tasting beef. With more than 30,000 beef producers, Alberta proudly maintains the long history of high quality beef for which our province is renowned. With the kind of success that Alberta has had with its tradition of quality beef products it’s no surprise that the world’s best beef jerky “Cowtown” was founded right here. Recognized internationally for its excellence and fresh taste, Cowtown beef jerky is made from strips of 100% lean Alberta beef. We marinate the strips in our special brine and then hickory smoke them to bring out the delicious , long lasting flavor. We use the best ingredients to assure you that our beef jerky is the finest quality available anywhere on the market. 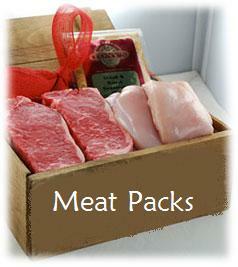 At Calgary meats we always strive to provide you with high quality meats and customer service that is second to none. We guarantee you happiness and strive to ensure that you always get the freshest meats for you and your family. Stop by today or give us a call and get started with our incredible meats.